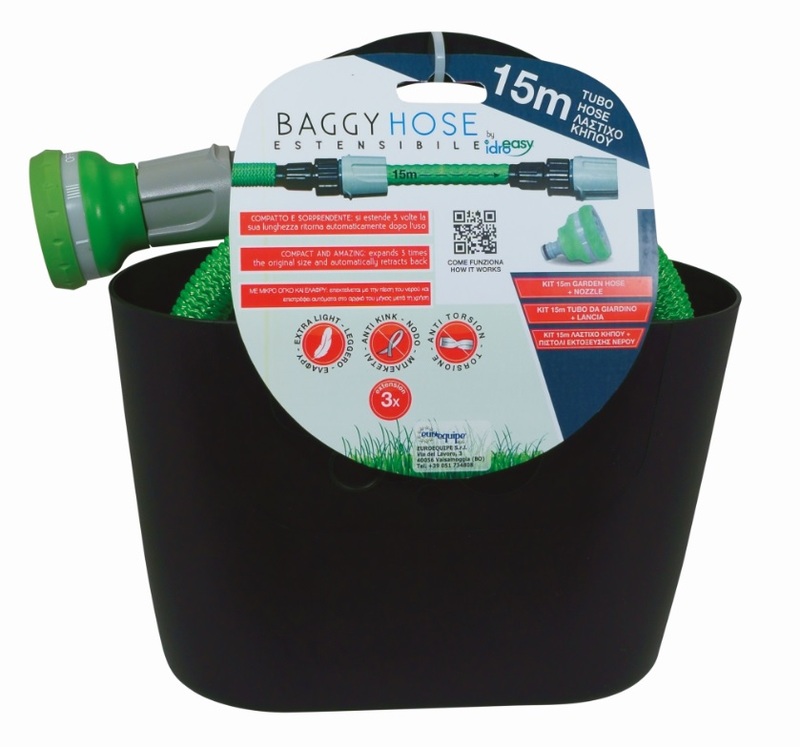 Baggy Hose by Idroeasy represents the new concept of expandable textile hose. 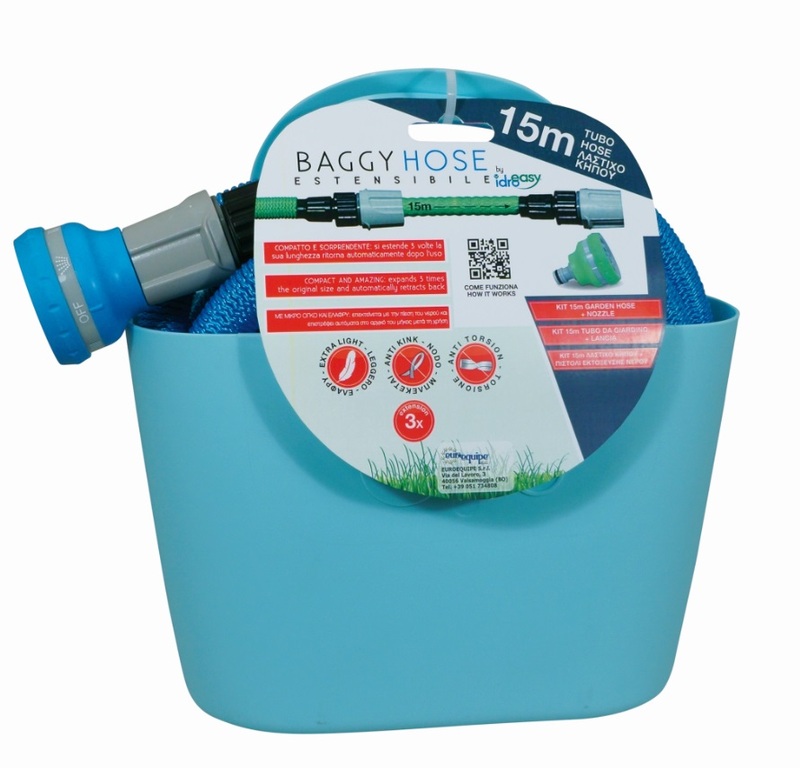 It expands 3 times its original lenght through the water pressure and shrinks back to its initial shape in no time! 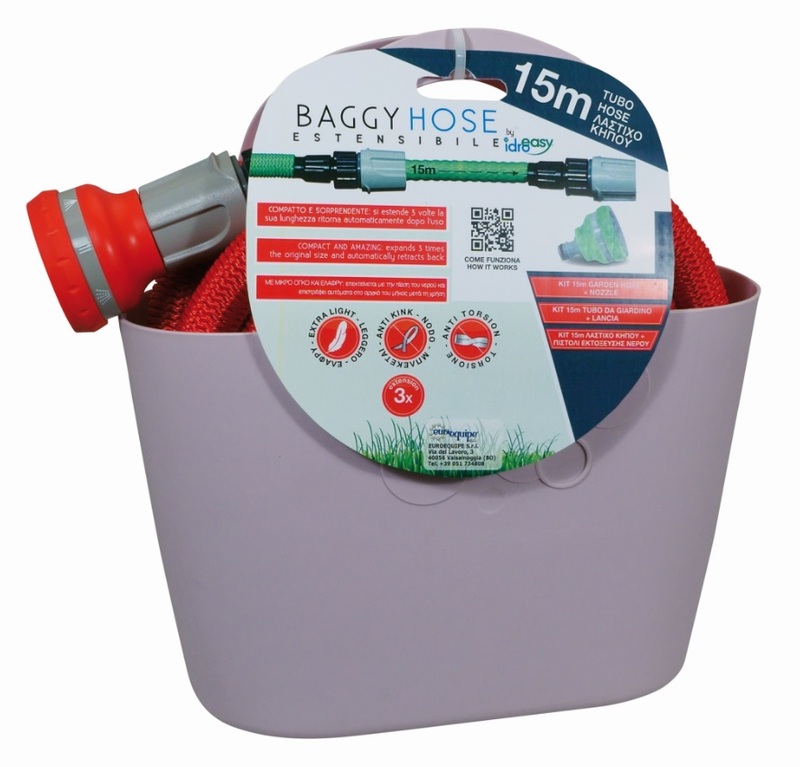 Lightweight, handy and ready to use in the innovative packaging that includes a reusable multicolor bag. Available in 4 color and in 15 mt size with accessories. 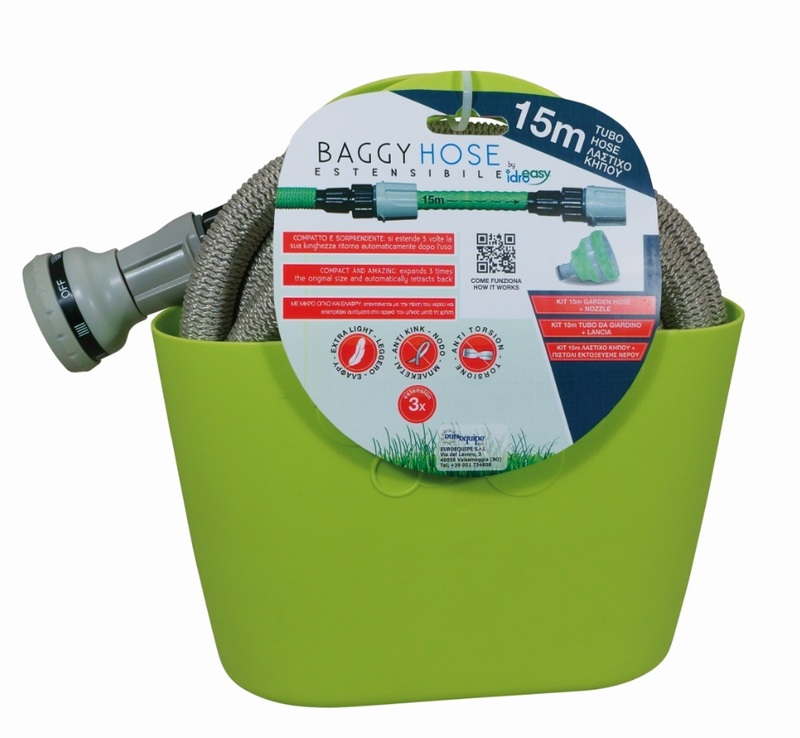 Includes 2 fittings compatible with all the garden accessories and a multifucntion nozzle.